Sir I have lost my admit card would you tell me how can I get duplicate admit card and what fee will be charges by Rajasthan University for it? Actually I am doing m.com from Rajasthan University and next week my annual examination will be start so I need must. Please help me fast? 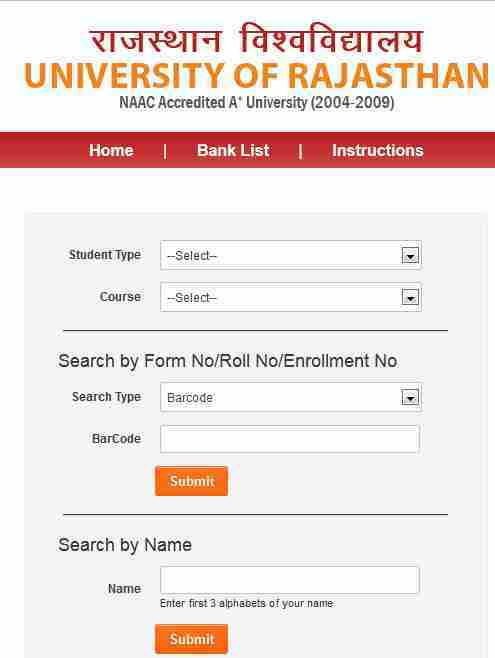 You want to download the Rajasthan University exam admit card, here i am giving a link from where you can get the Rajasthan University exam admit card. CCS University B.Ed. Admit card not received? I am student of non collegiate BA english literature 1st year. when i will get my admit card.